There are a few good reasons for my liking this particular compilation of songs from ELO's first five studio albums. First, it gives the listener a glimpse of their earliest material. Second, those tunes have a close connection with the band they evolved from, the magnificent "Move." And, since (at the time of this writing, at least) that quirky little British group isn't included on this website, it just might entice some adventurous folks to explore where ELO came from. The Move was a lot like The Beatles in that they started out as a hit single factory and gradually became more progressive as they went along. ELO, on the other hand, began life as a curious but bold experiment before sliding farther and farther towards the mainstream as they aged, as this collection demonstrates. In fact, "10538 Overture" would have been right at home on The Move's "Message from the Country" LP with its askew angles, rough edges and weird combinations of symphonic instruments. Neither Roy Wood nor Jeff Lynne had exceptional singing voices but that was just another aspect of The Move that made their music so intriguing and you get a true sense of it here. More than any other cut in the package, this song personifies what ELO had originally set out to be in that they wanted to thoroughly integrate an orchestral mentality with a rock & roll platform. On "Kuiama," from their 2nd album, Roy Wood had departed the group yet his off-the-wall presence is still felt on this strange, loose-as-a-goose (but still very entertaining) track. Here Jeff employs varied symphonic sounds within different movements to present a fascinating kaleidoscope of musical influences. The novel idea of mixing major themes from Ludwig Van's 5th Symphony with Chuck Berry's classic "Roll Over Beethoven" was pure genius and did a great job of introducing ELO's uniqueness to the unsuspecting world. Not to mention their endearing, noble ability and willingness to spoof themselves. "Showdown" marks a real turning point for the group in that Lynne grew weary of the band being a fringe act and wanted to become more radio-accessible. It's commercial as all get out, for sure, but it still retains a tinge of their eccentricity as heard on the chorus of "and it's raining all over DE world." The opening of "Ma-Ma-Ma Belle" featuring a gargantuan heavy guitar riff has The Move written all over it and makes me reminiscent of their bombshells like "Brontosaurus" and "Ella James." It's odd, crazy fun as they rock the house in their own peculiar way. By the time ELO made "Eldorado" they had gravitated to a higher plateau of engineering quality and overall production values and you can hear it clearly on the classic "Can't Get it Out of My Head" that has proudly stood the test of time. It's still one of Jeff's finest melodies. I'm not sure exactly why but I adore "Boy Blue" from that same album. It has no reason to be memorable at all with its out-of- tune counterpoint lines, clumsy drumming and questionable vocals but there's an undeniable charm about it that draws me in every time. I have to say it's one of their best eclectic tunes and a favorite of mine. But by the time "Face the Music," their fifth LP, hit the stores their unquenchable quest to scale the top of the pop charts had suppressed much of their spirit of adventure as demonstrated by both "Evil Woman" and "Strange Magic." It's not that they're terrible tunes by any means but there's hardly a trace left of Lynne's mad scientist mindset that threw caution to the wind and courageously tried anything that came strolling into his fertile imagination. With few exceptions, from here on out ELO was pretty much a hit machine. The Move had its faults, no doubt. Their albums are definitely an acquired taste. Lynne and Wood exercised very little restraint in their creations and would often cross the line into self-indulgence but there was always an overriding joy emanating from their art that still makes me grin every time I listen to them. 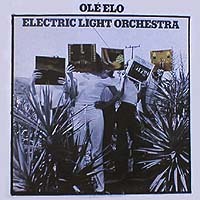 ELO exercised more abstention and forbearance in their arrangements but, at least in the early days, the elusive ingredients of mirth and levity were still prominent in their music and that was when they were at their most progressive. It's still better to invest in the complete albums but if you want a sample of early ELO then this is the ticket. 2.8 stars.